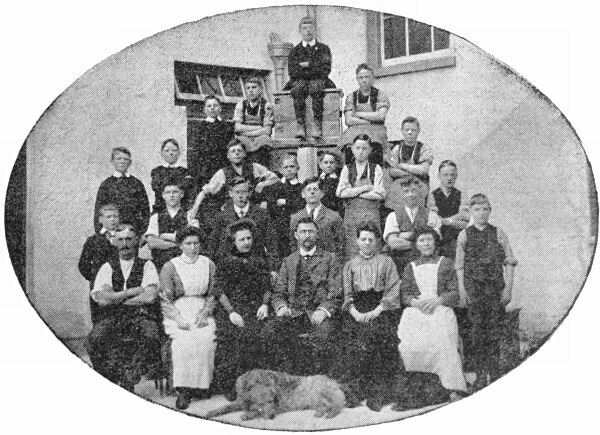 The St Boniface's Home for Boys was opened by the Waifs and Strays Society in 1907 at Sampford Peverell, near Tiverton. 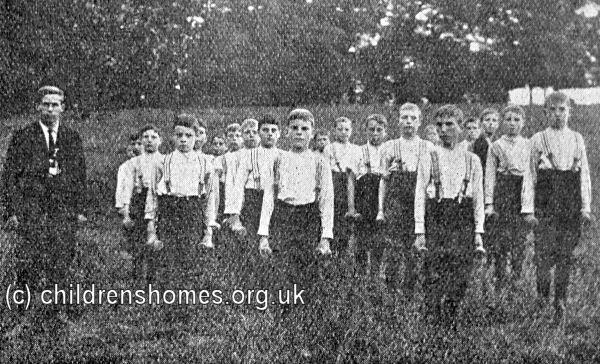 The home replaced the Society's Bersted Home for Boys at Bognor Regis which had outgrown its existing premises. The new location, a 2.5-acre site on Lower Town in Sampford Peverell, had for many years previously been occupied by the East Devon County School. The buildings needed considerable repair before re-opening as St Boniface's, a saint who had historical connections with the area. 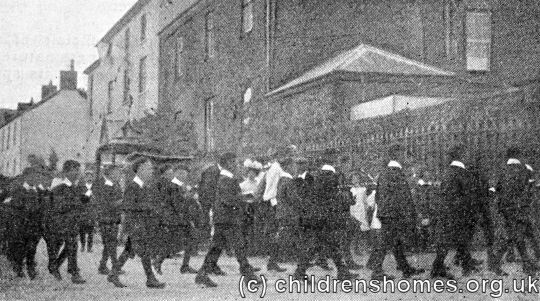 The home was formally dedicated on June 11th, 1908, by the Bishop of Crediton. 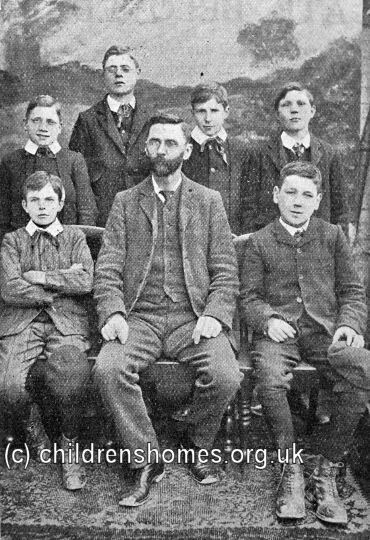 Mr G. Davison, formerly of the Reading Home for Boys, was appointed as governor of the home. 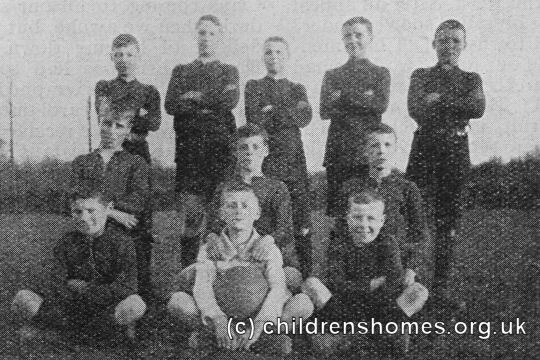 Sporting activities were high on the agenda for the St Boniface boys. 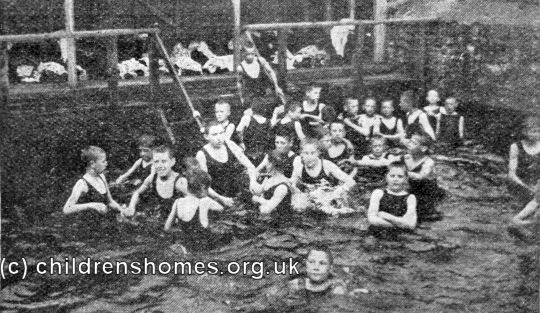 As well as football and cricket, the home had its own swimming bath. 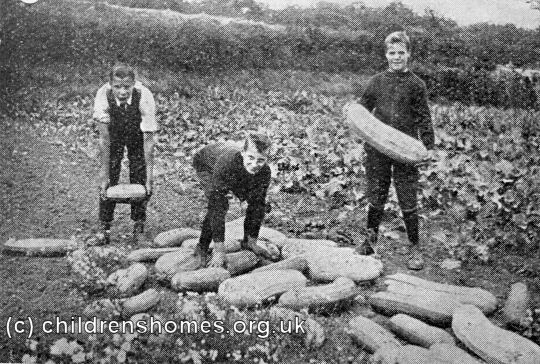 Boys at the home were taught a variety of practical skills including gardening, carpentry and picture framing. 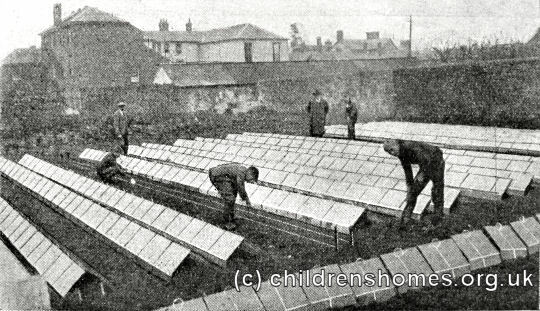 Their market-gardening efforts generated produce for consumption in the home itself or for sale locally. The knowledge they acquired also stood them in good stead in later life. 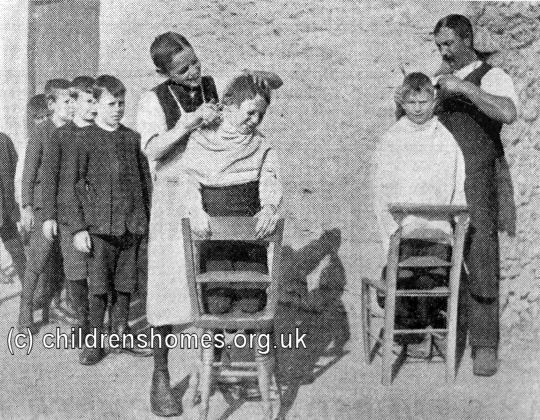 In 1933, the home was designated as a vocational training centre. 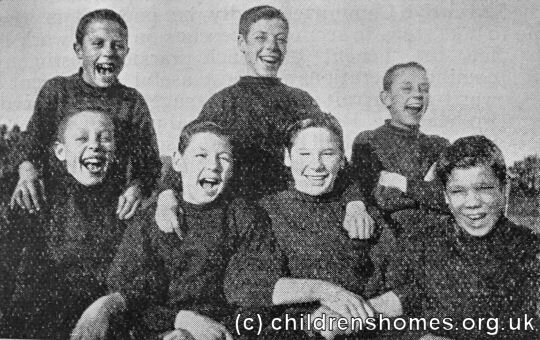 As in many of the Society's homes, a number of the older children were emigrated to Canada each year. 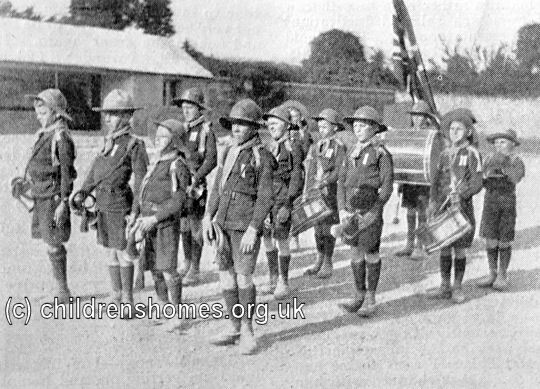 From the early years of the Boy Scout movement, the home had its own troop, which included a recruiting band. Christmas was always a highlight of the year for the boys. Here is a description of the first Christmas at the newly built home in 1907. Stacks of timber, rows of glistening drainpipes, piles of bricks, yawning trenches on three sides of the house, huge mounds of dislodged earth, inches of squelchy mud everywhere — out-of-doors; a makeshift lavatory of Tate's cube boxes, slabs of wood, and enamel dishes, a dormitory floor and bathroom floor merely grills of beams and joists, indoors — such was the condition of things on Christmas Eve. Vague fears there were that this accumulation of unwonted obstacles would daunt the courage of even the stoutest-hearted Christmas that ever set out to gladden the hearts of little people. But Christmas, 1907, surmounted them all. "A happy Christmas, sir!" greeted the Master's ears as he opened the dormitory doors, and the glad shout from fifty-seven happy laddies proclaimed that Christmas had got in, after all. Other senses bore testimony, too, for see the decorations, and sniff — ah! But first to the chapel, to hear why we are to be glad at Christmas-time. What's this — special breakfast! How kind of Mrs. Rossiter! Then away to church. What a number of people are calling to-day! Are they going to help with the dinner? Twenty of them are, anyway. " No more, thank you, sir!" "Not another anything, miss, thank you!" And so heaped dishes of nuts and dates, apples and oranges, biscuits and sweets — all provided by the loving thoughtfulness of local friends — are cleared away, to reappear when appetites are keener. Now for the letters and parcels accumulated during the previous ten days. What an exciting scene! That is a tough string! or is it a blunt knife? In at last! "Oh, look!" "Oo-ah!" and so on all the afternoon. How happy they all look. for there is something for everybody. 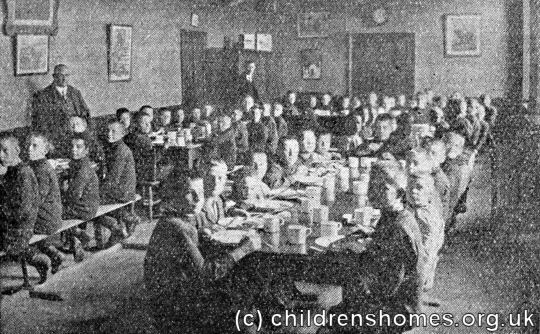 Tea — reluctance to participate apparent here and there — more fun and frolic in the big room; prayers, and, quite contentedly, bed, all supremely satisfied that in Devonshire, as elsewhere, Christmas is the season of all the year for little ones. 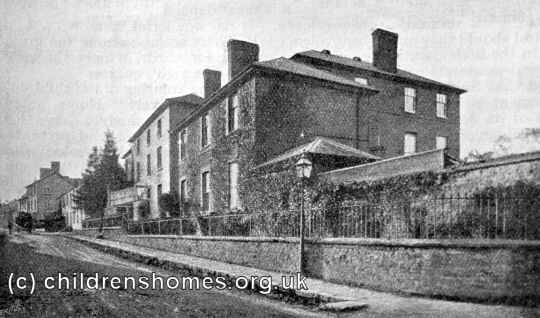 When the St Giles' Home For Boys at Wrexham was closed in 1941, most of its residents were transferred to St Boniface's. The home was eventually closed in 1952. The building no longer exists.